So, you want to move to London but where do you start? As a specialist removal company based in London, we are the best choice you could possibly make if you’re moving to London. Here at Simply Removals, we move thousands of customers every single month. If you need a moving company to help you with your move, we are the removals company for you. We know that moving home can be a stressful time and finding an affordable place to live in London can be difficult. What’s more, while the main tourist attractions are easy to spot, finding your way around the city can be confusing to say the least! So, we thought we’d share our advice from the experts on how to move to London. One of the best pieces of advice we offer to anyone moving to London is to find and secure a job before the move. London is one of the busiest city’s on earth and finding a job can be a time-consuming and sometimes difficult venture. What’s more, you’ll need to take your time sifting through the various opportunities to find the right one for you. If you’re young and looking to join an exciting start-up, you may want to consider areas like Bethnal Green or Shoreditch. However, if your work is very business-focused, you should try to find an area with good transport links into the financial district. Work out which area of London would best suit the type of career you’re looking for and then start your search. Once you think you’ve found the right job, it’s important to check out local salaries to ensure you’re earning enough to keep up with London living costs and salaries. London is well-known for being expensive and the cost of living is extremely high. So, if you’re not careful, you could end up paying out significantly more than you need or want to. If you’re considering making the move to London, it is essential you consider the state of your finances, the initial increase in your outgoings and what would suit you best. After all, managing your finances may be very different living in London compared to your previous home and location, so it is important to consider cost before making the move. Do you need to find a property close to local transport links, schools, or your place of work? When making the move to London it is important to consider how well particular locations would work for you and whether there are certain places that would be more beneficial than others. London is a huge city and there are so many places to live. However, London is expensive and the closer you move to the city-centre, the higher the prices will be. Therefore, some people find it’s much more cost-effective to move further outside of the city so that they save a little bit of money. London is essential a series of villages and the locations a little more on the outskirts are often more affordable and spacious than living right in the middle of it all. Of course, you may have a higher income and decide you want to sacrifice the expense to enjoy the luxury of living closer to your place of work, your child’s school, or even the pubs, clubs, and restaurants. Location is your choice, but it will determine the level of expense. Because London is a notoriously expensive place to live, it is not uncommon for people in their 20s and 30s to rent with others, also known as flat-sharing. Living with other people is a great way to cut your living cost in half and is probably the best option if you’re just starting out and don’t have a very high income. 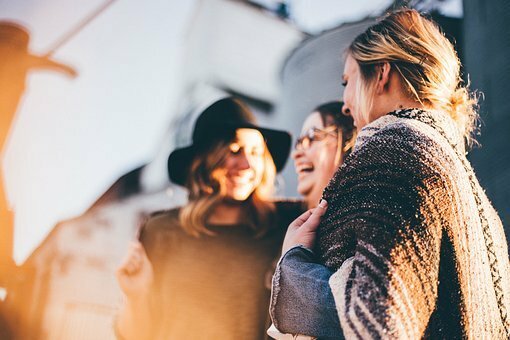 Many people enjoy living with flatmates, especially if they’re new to a city as it can make the process of making friends and getting to know new people far less daunting. Remember that when you move into a new property in London, you’ll have to pay at least two month’s rent up-front, on top of the prices you’ll have to pay for covering council tax, gas, water, and electricity. Renting with someone else can cut these costs in half and make living in London a little less expensive. An employment reference to confirm your salary. You may need to prove that you have the legal right to live in the UK. A reference from a previous landlord or letting agent to confirm that you’ve been a good tenant, paid your rent on time, and looked after the property well. These documents all help you build a good case and, much like applying for a job, sell yourself as a potential tenant to the landlord, letting them know why they should want you as a tenant. When you’re looking for a flat or a house in London, your best bet is to go through an estate agent. Always be sure to read the small print and don’t settle anything on a handshake. Always get a copy of the tenancy agreement and read it through thoroughly first. Searching for properties through estate agents, rather than on Gumtree or from private landlords, helps keep you safe from shady landlords and ensures you get a copy of, read, and sign the tenancy agreement and any other relevant documentation before you move in. If you’re moving to London on your own and will be living in your own place, you need to know how to meet people and make friends. The great thing about London is that there are hundreds, if not thousands, of people in the same boat. Many people have just arrived in London and are looking to extend their social networks, so they’re open to meeting new people. Say yes to as many opportunities as you can. Go to parties, venture out with your work colleagues at lunchtime, and find out what’s happening in the city through sites like Timeout and Londonist. Soon enough you’ll have plenty of friends situated all over the city. One of the many great things about London is that it is such a multi-cultural city, meaning that it is also very easy to be accepted. So, no matter how much you might feel like an outsider, know that most newcomers feel the same but it’s easy to meet new people and make friends. Everyone knows that driving in central London is an absolute nightmare. Even if you’re a confident driver and you can cope with sitting in the constant traffic jams, paying the daily congestion charge, and never finding anywhere to park, driving in London may be an option for you. However, most people who move to London don’t bother with a car because there are so many easier ways to travel around the city. The entirety of London is served by the public transport system and this is how most of London’s residents make their way around the city. One of the many considerations you need to make when making the move to London is living new public transport links. Although living close to main train stations can make rent prices increase, if you’re happy to take the bus, this may provide a better option. If you’re going to be taking public transport regularly, the cheapest way to travel around London is by purchasing an Oyster-card. If you’re moving with your family, you should prioritise finding the right school for your children. Children who attend school in the UK are part of the UK’s education system which is compulsory for children between the ages of 4-18. Schools in London are regularly inspected by Ofsted, the results of which can be found on each school’s website. A school with at least a ‘good’ Ofsted result is often considered a school worth enrolling your child in. One consideration regarding schools is which catchment area they are in. Often, families living in the immediate vicinity of the school get priority of places over children living in other catchment areas. However, if you choose to enrol your children into a private school, catchment areas do not apply. It is important to know that in London, you don’t need to pay the full price for anything! Although rent prices are expensive when you move to London, food and alcohol prices are fairly affordable. And you can also enjoy a number of fantastic free days out by taking advantage of the free art exhibitions, museums, parks, festivals, and more. What’s more, there are so many websites, like Groupon, offering discounts, vouchers, and deals all around the city. Everyone in London uses them and it helps make the cost of living in London a little bit more bearable. 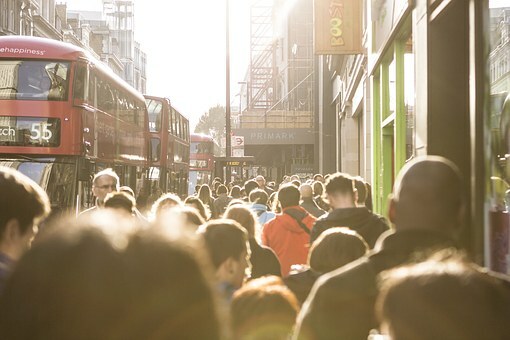 London is a wonderfully diverse city and is continually growing and changing, with hundreds of new people and opportunities being added every single day. It goes without saying that there is so much to see and do and there is certainly a wealth of history and culture to discover. Once you’ve arrived, take some time to get outside and explore your local area and the sights, foods, shops, and experiences it has to offer. Get to know where the best places to eat in your area are, where to go for entertainment, and where the best places are to buy groceries, go to the bank, and visit the post office. 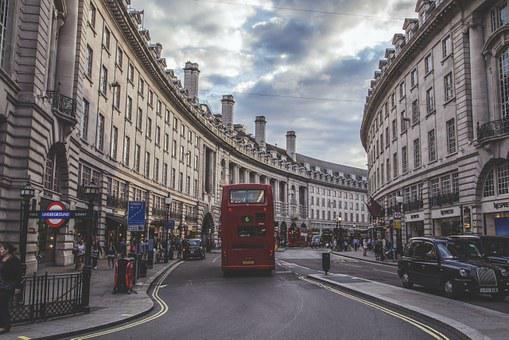 The best way to get to know London is to explore the city for yourself. There is so much to see and do in London and you’re sure to fall in love with so much of what this city offers. We know that moving home can be a stressful time and that’s why our team of removal experts work hard to ensure your move is carried out successfully. We are a local moving company you can trust, and we know the boroughs of London like the backs of our hands so can easily find our way around – wherever you’re moving to! Simply Removals have three depots situated strategically around London to ensure we can easily get to any location in and around the M25. So, whether you’re based in North, East, West, or South London, we can provide a total removal service for you. If you’re looking for a well-established, professional, and trustworthy moving service you can trust, you’ve found it. For many people, the most daunting aspect of moving is organising all of their belongings and packing them up. However, our team at Simply Removals provide a quality packing service if you don’t have the time or simply don’t want to deal with this stressful process. We can even supply all the packing supplies needed to pack up your property for you. It does not matter the size of your property or how many belongings you have, our team of experts can pack everything up for you so that it can be easily moved. We even offer services like furniture disassembly and re-assembly to help you get settled into your new home much faster. If you move to London, it’s likely you’ll be downsizing due to price, location, and property sizes. So, either you’ll have to dispose of your unwanted furniture or store belongings you don’t need right now but would like to keep. Storage facilities are helpful for this and help keep your belongings safe and secure while you get your own place, settle in to city life, and work out what you’ll need on the daily. Here at Simply Removals, we offer competitive storage prices so that you can store your furniture and other belongings for as long as you need to. Whether you’re moving into temporary accommodation or you simply don’t have space for all your belongings in your new home, our storage service is the solution. Moving to London can be an enjoyable experience, but it is important to be realistic about your move, how long it will take, and how much it will cost. Moving to London can be a daunting experience – especially if you previously lived outside of a city. Be prepared for some culture shocks, but also get excited to experience a whole new way of living. Go into your move with realistic expectations. Moving to and living in London isn’t always going to be perfect. In fact, there might be days where it is really difficult, and you question why you ever wanted to move there in the first place. But don’t give up! Life in London can be a life-changing experience, so embrace the good and the bad and do your best to enjoy every moment. Is it possible you haven’t decided where you want to live in London yet? Do you want to find somewhere cheap? 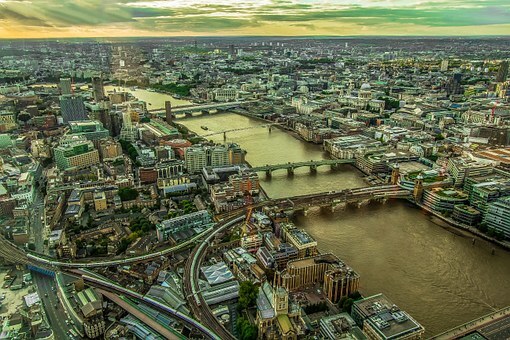 Check out our article on the 7 cheapest places to live in London.